This category of tire covers is dedicated to monsters or things that are scary. All of our tire covers are made for all RV's, Jeeps, Trailers, Buses etc...You'll find a wide variety of monster themes on this page. 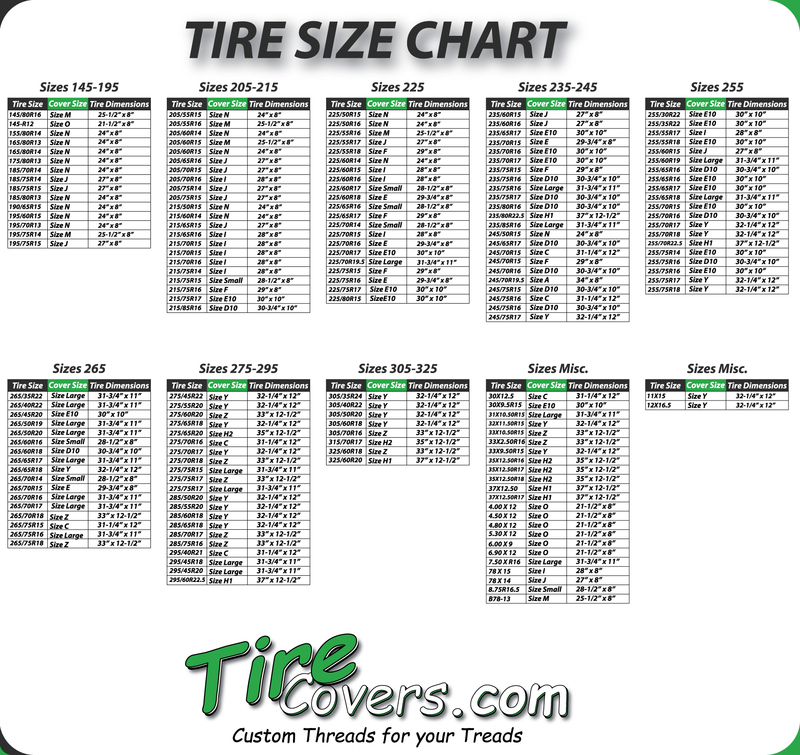 All tire covers are made custom for your order.